The cold weather can be unforgiving to your hair, here are some go-to styles to brace the breeze. Cue dry ends and frizzy hair. 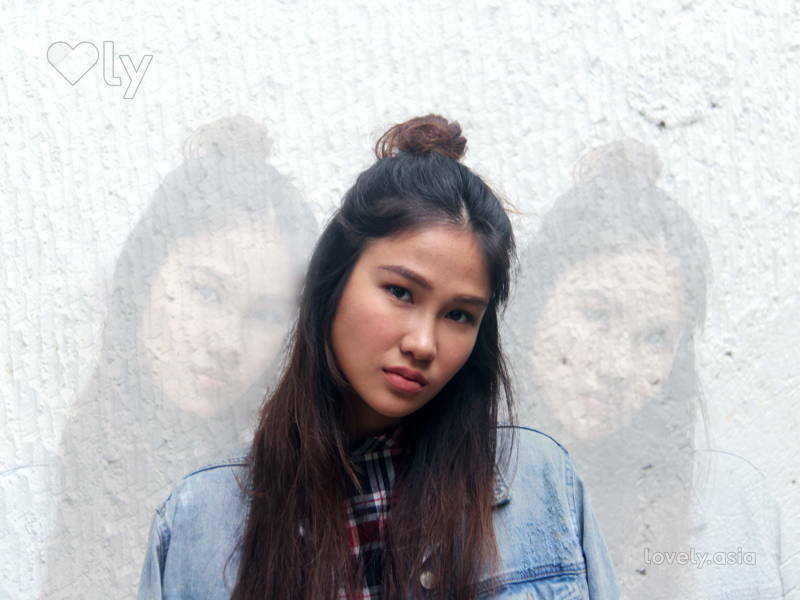 Resist the urge to resort to lazy buns and ponytails. These easy and quick hairstyles are will keep those ears warm for you. Caught the braid bug this past summer and can’t seem to move past it? This pull-through braid is the perfect solution for you. 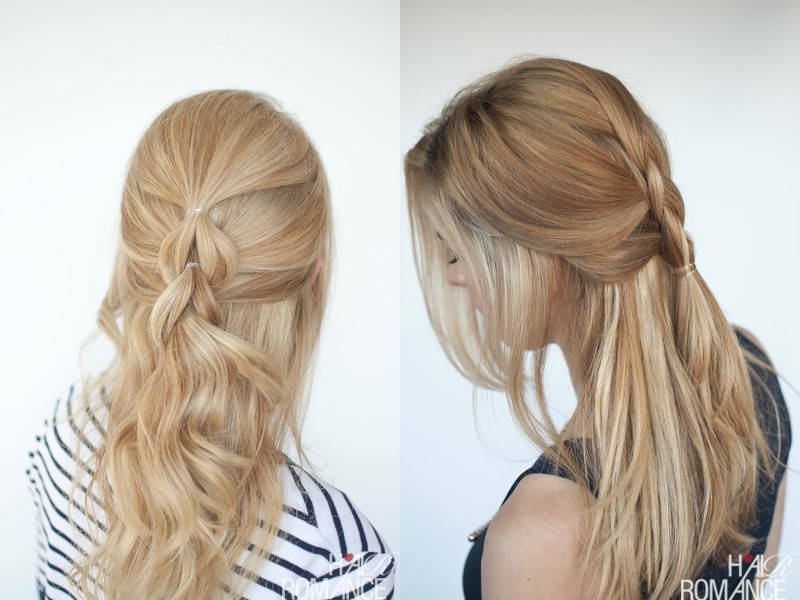 This loose half-up hairdo will is pretty, not boring, and leaves most of your hair down for warmth. Take a section of your hair at the top of your head and tie your first ponytail. Create a smaller ponytail below the first and pull it through the first ponytail. Then clip it upwards and away as you work on your third ponytail. 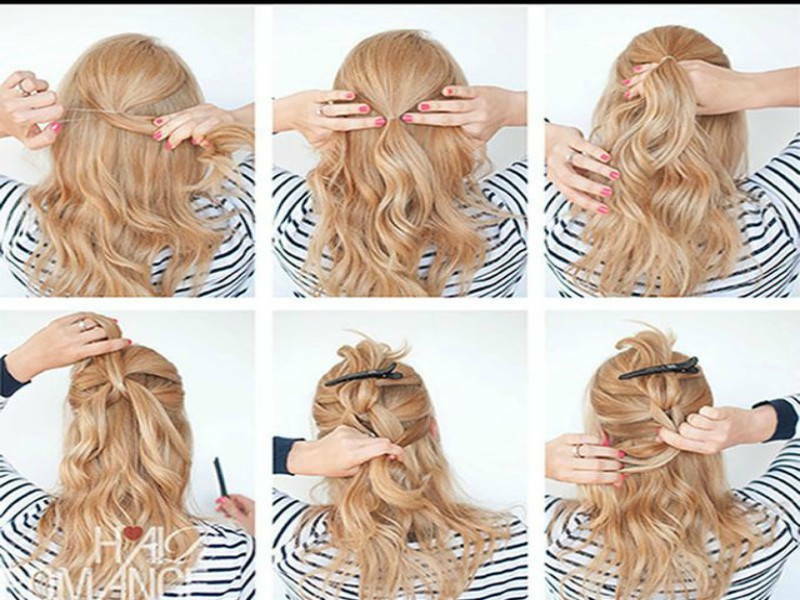 Gather a third ponytail and include the parted hair from the first ponytail; tie with an elastic band. Release the clip to let down your parted second ponytail. 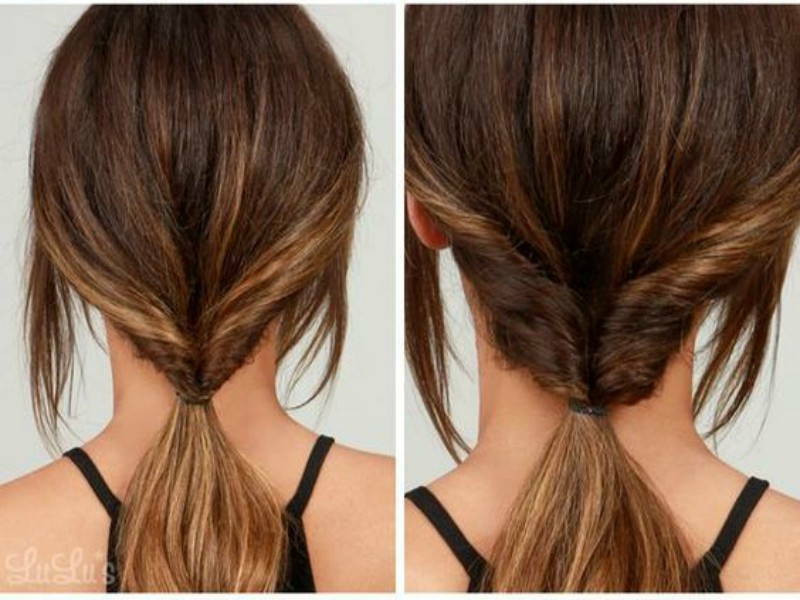 Repeat this to create a half-up faux braid. 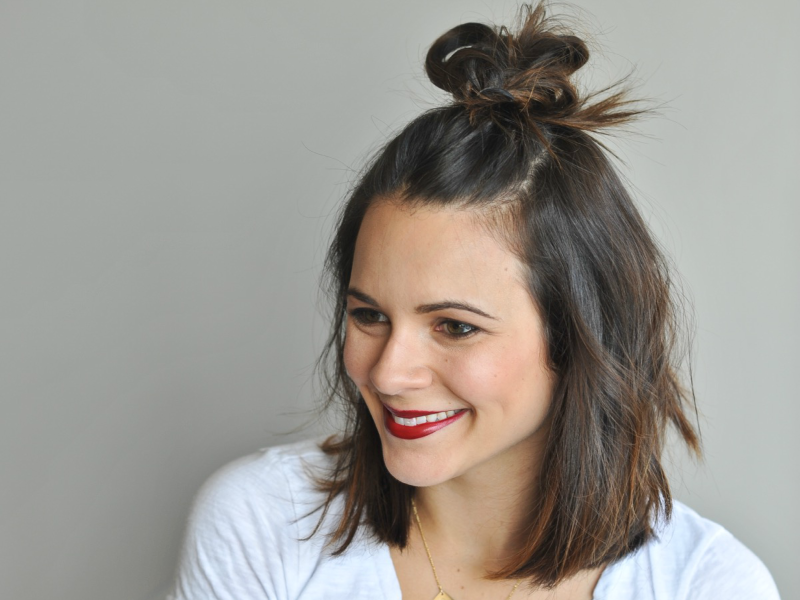 If attempts to rescue your cold weather frizz seem futile, then the half top knot is an easy way to fake and effortless chic-messy look. We love this one because it’s suitable for short bobs and long hair.. Gather your hair into a half-up ponytail, scrunch it down or twist it around itself to create a bun. 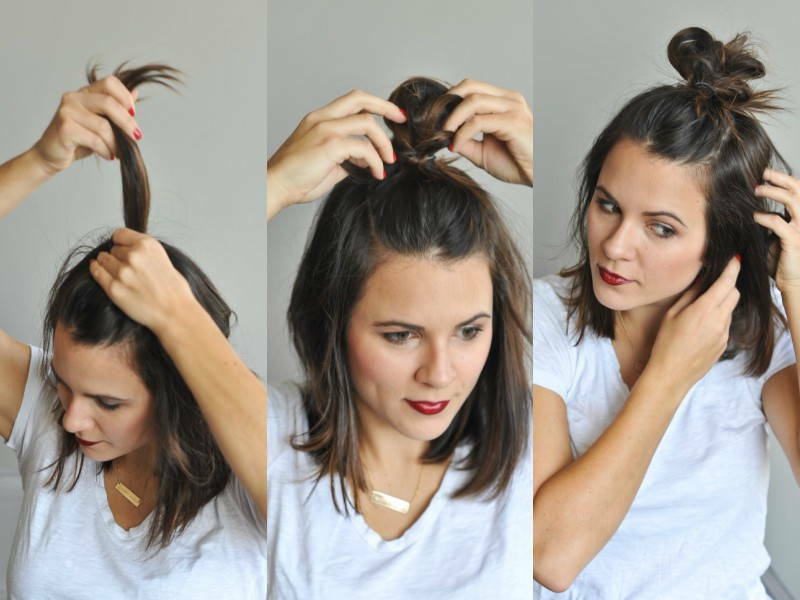 If you have thinner hair, you can pull at the top bun to create more volume and texture. 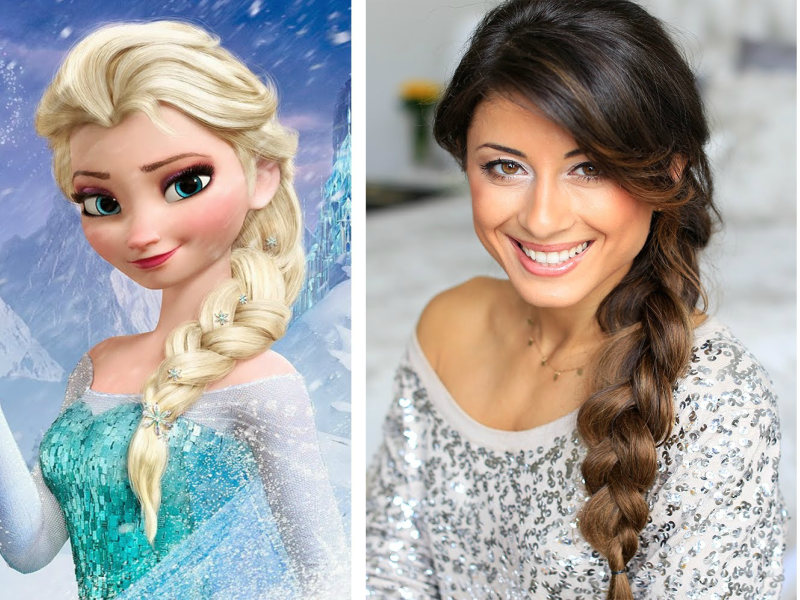 We couldn’t make a cold weather hairstyle guide without bringing in the Queen herself, Elsa! To pull off this look, you first need to create volume by teasing your hair and adding in a little texture spray or serum. Then smoothen down your hair and gather a section at your crown. Then, simply tie a chunky French braid taking large and irregular sections. As you work your way down the braid, be sure to angle the braid towards the side of your head and secure the end with a hair tie. Pull at the braids to create fullness and volume before spritzing the braid with a stronghold spray. For those frightful days when the weather is unbearable and you’re dreading the outdoors, reach for a hat or beanie. 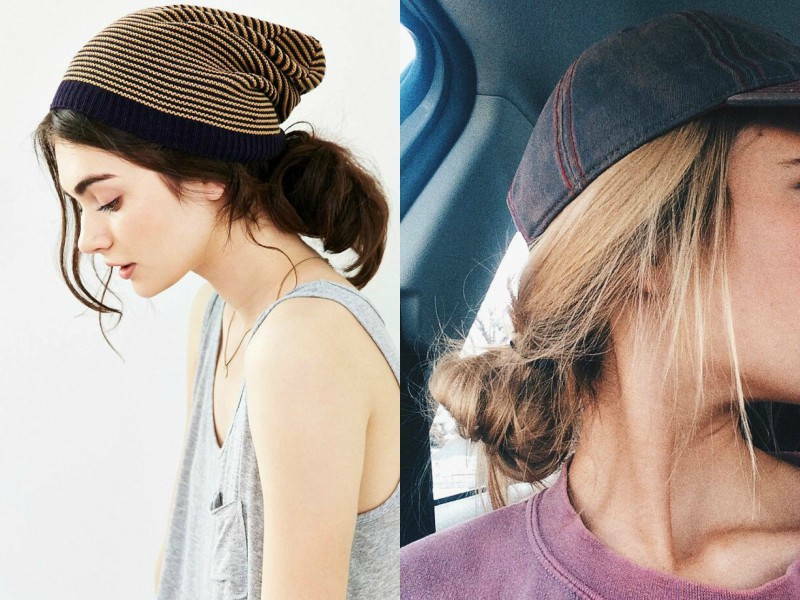 You can pair your beanie or hat with a low bun or topsy tail to prevent your hair from dry weather frizz. Start out by brushing your hair back and tying your hair into a low ponytail. Part your hair just above the elastic and create a topsy tail. If your hair is long enough, bring it to the front of one shoulder to frame your face.